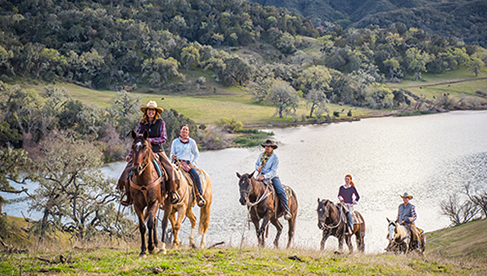 At Marriott Ranch, Darley trail rides where presidents and world leaders have found respite among the rolling Blue Ridge Mountains. 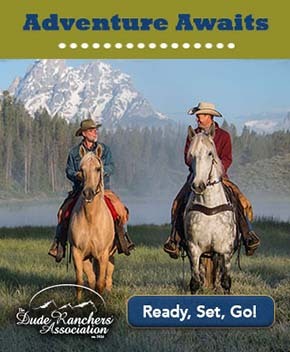 The ranch and its inn have a quirky history. Built in 1814 by James Marshall, brother of the first Chief Justice of the United States, the inn today is believed to be haunted. After jeep tour of the property, Darley rides through Paradise Valley among Longhorn Cattle, usually found in Texas, who have made their home in this scenic area. Next viewers discover how difficult 'the sport of kings' really is through Darley’s polo lesson at Great Meadows. 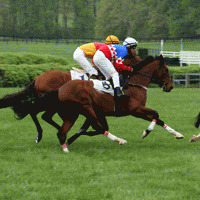 Nearby, Darley attends the classic Virginia Gold Cup steeplechase and stops in the cute and quaint town of Middleburg. Virginia and U.S. history come alive, as Darley discovers Civil War history on horseback by riding through Kelly’s Ford and meeting Civil War reenactors from the Black Horse Troop.